The Island is a peninsula with steep vertical cliffs on three sides, that rise 700 feet above the Crooked and Deschutes Rivers. It measures about 208 acres on top. Due to the steep cliffs that surround it, the Island has never been grazed by livestock, except for one season of grazing by sheep in 1921. It also has not suffered from any sizable wildfires in the last century. As a result, it contains one of the United States’ last remaining undisturbed communities of two native vegetation types: western juniper – big sagebrush-blue bunch-wheatgrass and western juniper-big sagebrush-bitterbrush. The Island is significant in several ways. 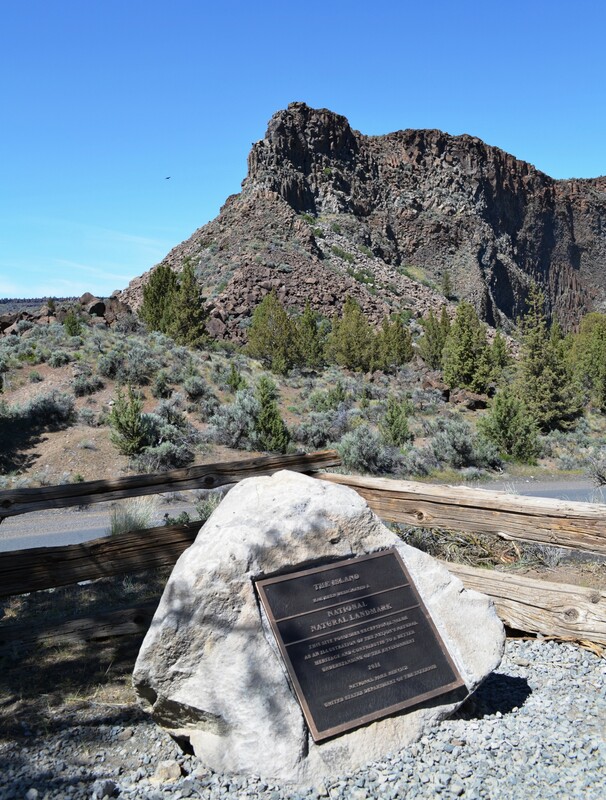 This geologic feature is part of the Deschutes Formation which began forming about 11 million years ago, as alternating layers of basaltic lava, stream sediment, and volcanic debris flowed into the area from the Cascade Range. Erosion by the Deschutes and Crooked rivers; as well as wind have continued to form and erode the plateau we see today. It was a powerful cultural location to local Native American’s. It also possesses exceptional value as an illustration of the Nation’s Natural Heritage and contributes to a better understanding of the environment. In order to preserve the integrity of the site, the Island is designated a Research Natural Area by the Bureau of Land Management (BLM) in 1986. In 1997, the BLM closed the Island to the public; permits may be issued to educational institutions and conservation groups seasonally. Secretary of the Interior, Ken Salazar, designated it as one of nine National Natural Landmarks in Oregon. 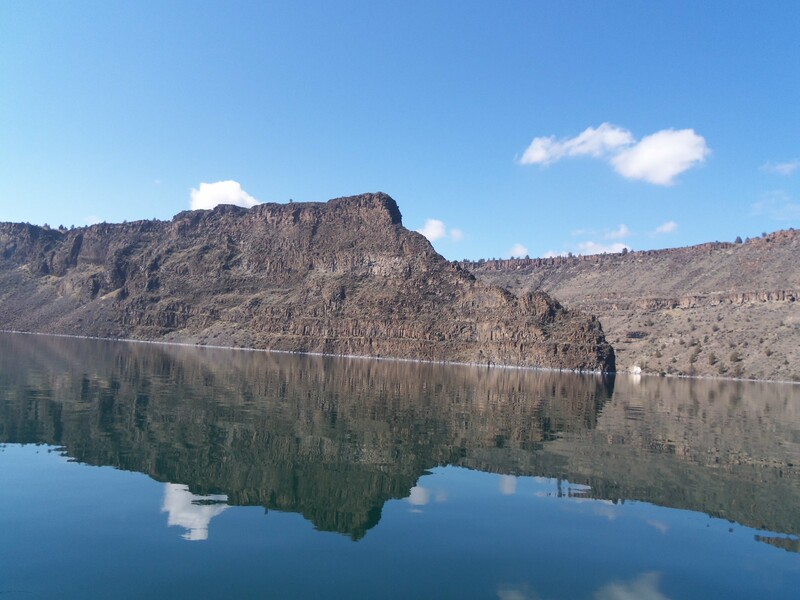 The Island at Lake Billy Chinook was dedicated as a National Natural Landmark in 2011. Rangers Steve Bifano, Chris Rodgers, and Jay Walters located the perfect rock in which to set the National Landmark plaque this spring. If you are driving toward Deschutes Camp, on the left side of the road, near the Petroglyph Rock pull off area, you will see a trail going back towards Group Camp. Hike about a hundred feet and you will find the plaque. Park Staff intend to install a bench for visitors in the future.